What is a Right Heart Catheterization? So you have been told you need a Right Heart Catheterization (RHC), now what? Allow us at MyHeart to explain this procedure. Before delving into the specifics of a right heart catheterization, it is important to understand basic definitions and parts. 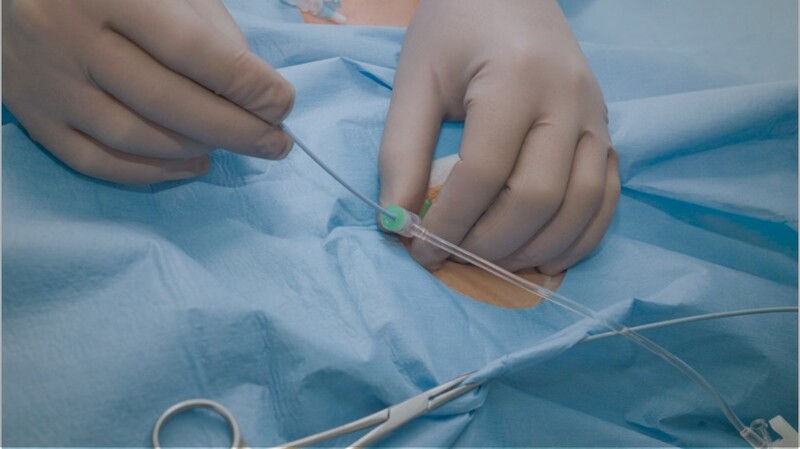 A catheter is essentially a long hollow tube that can be inserted into either a vein or an artery. There are various types of catheters, but for the purpose of this article, all catheters will be referring to heart catheters. The heart has four chambers: the right atrium, right ventricle, left atrium, left ventricle. The “right heart” consists of the right atrium and the right ventricle. These chambers pump the un-oxygenated blood, through the pulmonary artery, into the lungs. Blood is oxygenated in the lungs and then carried to the left atrium and left ventricle, known as the “left heart.” A right heart catheterization focuses on the right side. The catheter, or the tube, is placed into a vein (either in the leg or in the neck), and advanced through the vein until it reaches the right atrium. The physician measures the pressure in the right atrium and continues to measure pressures as he or she advances the catheter through the ventricle. If you remember, blood travels out of the right ventricle into the pulmonary artery to go to the lungs. Using certain formulas physicians can calculate cardiac output, or the amount of blood your heart pumps per minute. Obtaining pressures in each part of the heart provides useful information for the clinician. What does a Right Heart Catheterization tell us? A right heart catheter obtains pressures and these pressures from various parts of the heart can help assist physicians with diagnosis and management of congestive heart failure, septic shock, pulmonary heart disease, congenital heart disease, and valvular heart disease to name a few. Pulmonary hypertension, for example, is a disease process in which blood pressure is elevated in the vessels of the lungs. We can make a diagnosis by measuring these pressures and increase or decrease treatment based on these right heart catheter values. The order of these steps may vary depending on where you have the procedure done. 1. The night before the right heart catheterization, make sure you don’t eat anything after midnight. 2. The morning of the right heart catheterization, show up ten minutes earlier than your scheduled appointment. Once you are brought back, a physician from the team will be around to consent you for the procedure. He or she will discuss risks and benefits of having a right heart catheterization done. 3. You will be brought back to the cath lab, where the right heart catheterization will take place. You will be placed on the cath table. Pain medications may be offered. You will not be completely unconscious for the procedure but will be able to respond to questions. 4. The site will be cleaned with sterilized. Local anesthetic will be used and administered either in the groin or neck area depending on where the site is. 5. A catheter will be inserted and advanced to the different chambers of the heart and pressures will be recorded. Xray will be used to ensure that the catheter reaches the proper areas. 6. Once pressures are recorded, the catheter will be removed and the site will be dressed and pressure will be placed at the groin site to stop bleeding. 7. You will be brought back to the observation room and observed for a period of time to ensure there are no complications. Anytime an artery/vein is punctured with a needle, there is a risk for bleeding. Hematomas (which is a collection of blood outside the vessel) can develop. Anytime a foreign object enters the human body, there is a risk of infection. A right heart catheterization is no different and one of the risks is infection of the site. A potential serious complication is rupture of the pulmonary artery when attempting to obtain pressures, however this is extremely rare and measures are taken to prevent this from happening. All in all, this is a relatively low risk procedure and the operator is usually a board certified Cardiologist who has spent years and countless hours of his or her time perfecting his or her technique. is there a video available online of right heart catheterization with exercise? There are not any good videos of that procedure right now, do you have any specific questions about the procedure? I have a question, why did they not mention trying different medications at time of catheterization to see how well the heart responds to certain medicines. I just had Right heart cath and I feel like we are playing the guessing game on medicines. Some medications we can try during the right heart catheterization, but not all of them. The decision to try certain medications depends on what your physician is evaluating. It is not dangerous, it is much lower risk than your typical left heart catheterization. 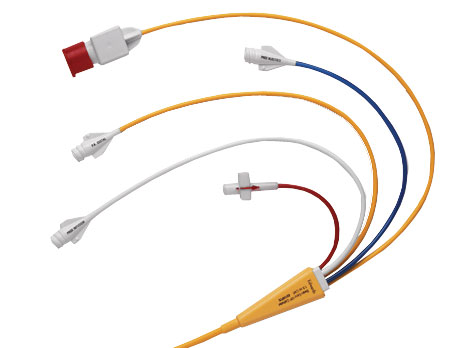 Our standard catheters are designed to come from the right internal jugular (RIJ), so it makes the procedure easier. The RIJ is also the closest large vein to the heart and allows for easy control of any bleeding, if it occurs (but is usually very rare). WHAT WOULD CAUSE THE RIGHT VENTRICULE NOT APPEAR ON A HEART ECHO? Can tricuspid valve insufficiency be repaired this way? I had full open heart 6 years ago to repair it due to two bouts of IE. Valve leakage is currently sever and I’m experiencing symptoms. I’m 36 and of a healthy weight. Hoping the second surgery can be done this way however there doesn’t seem to be much ifo out there on reoperation of TV via catherization. Any thoughts? Thank you in advance. Its difficult to comment in such a case without knowing a lot more info about the case. My advice in this setting would be to see a heart failure specialist, particularly if you have been diagnosed with pulmonary hypertension.